Founded in 2011 by designer Erik Rosete, Art Hearts Fashion provides designers a platform to showcase their work in a unique art & fashion inspired environment. 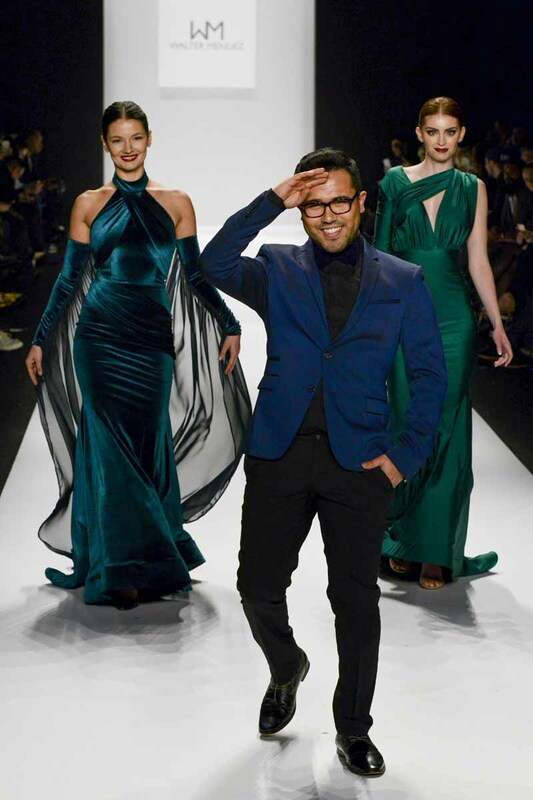 For the Fall 2015 season, Art Hearts Fashion hosted designer Walter Mendez who took the New York runway next with a stunning collection of elegant gowns. This landmark collection was perfectly executed with a palette of soft greys transitioning to dark blues and bold velvet greens. As one of the nation’s top designers, Walter Mendez is known for his bold eye for texture, silhouettes, and timeless cuts. His work is regularly featured on celebrities, television, and red carpets. Walter has been featured in publications such as WWD, Apparel News and has showcased nationally. Walter is a proud recipient of the Designer of the Year award by the World Networks; and has also been one of the featured designers for the Go Red Fashion Show benefiting the American Heart Association.